I have a crack in the radius at the bottom of an acrylic bathtub. Must I contract someone to install an inlay to replace the entire bottom of the bath, or is their an acceptable, easier way to fix it? See the photo. The use of an inlay to repair cracks in the bottom of a bathtub is always the safest way to prevent re-occurrence. However, after saying that, there can be some latitude in recommended repair techniques depending on the severity and exact location of the crack(s). I would say that your example, where the one crack is located right at the radius does not require an inlay. If the crack extended into the flat area, it would need a more stealthy repair offered by inlays. 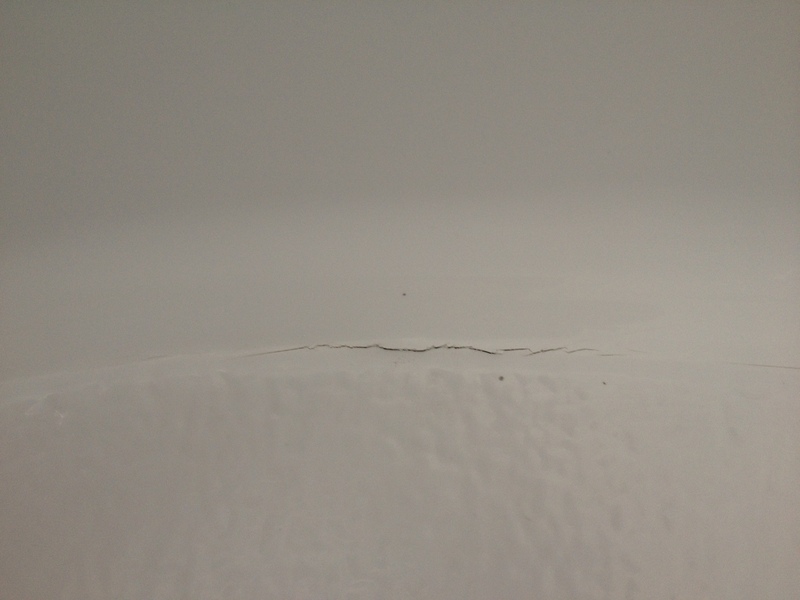 Your crack, most likely, occurred due to either insufficient support under the base, or movement in the tub. In sufficient support allows the tub bottom to flex under weight. This repeated flexing eventually results in crack formation. Therefore, my first recommendation is to add structural support by injecting our 5-lb. density polyurethane foam into the base cavity to restrict movement. It does not increase basic structural strength, but it is effective in reducing movement. If additional structure strength is necessary, it will need to be added using fiberglass resin over the top of the weak area. The combination of these two processes will provide the permanent repair desired. You can refer to the blog entry, FIXING A SQUEAKY, FLEXING BATHTUB OR SHOWER, for a description of how to add polyurethane foam. Your small crack area can be fixed using a glass fiber stitch mat with our Binding resin. The stitch mat should be cut to a size that completely covers the crack, and extends about 3 inches beyond it. Refer to http://www.multitechproducts.com/content/Procedures/Binding-Resin-Spa-Blister-Repair-2010.pdf for instructions on laying down stitch mat. Obviously, this means the repair zone will be raised in relation to the normal surface. So you should use our Poly-Filler or Poly-Paste to buildup and transition smoothly to the existing surfaces. 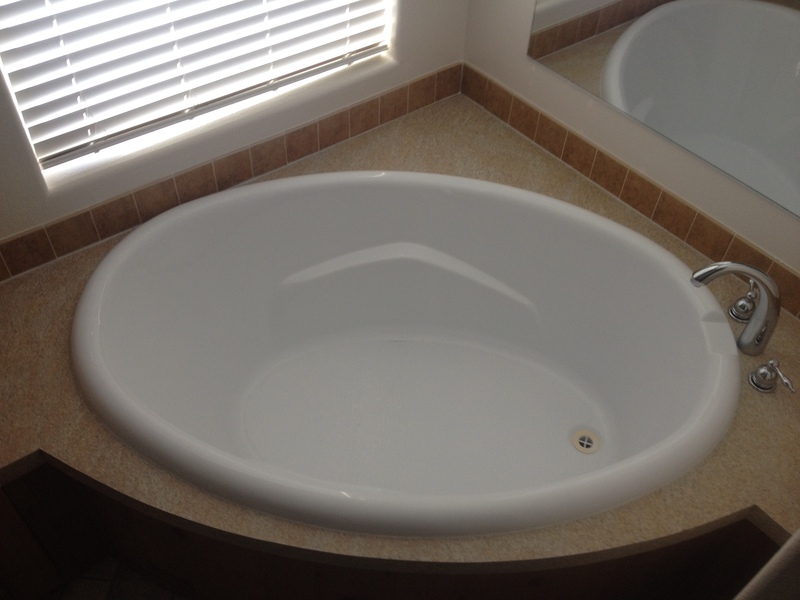 Since this area is at the edge of the tub bottom, it will not effect water drainage. Roger, theoretically, any crack on a bathtub bottom could be repaired in this manner. However, based on the size and exact location, it could significantly diminish the ability of the tub to drain, properly. Your case is simple, and these procedures should result in a very satisfactory repair. Crack size and location are the determining factors whether to resort to an inlay repair. Inlays also offer the ability for a technician to offer the optimum warranty for a repair. After these procedures are completed, the color needs to be restored to match the other surfaces. Refer to the procedures on bathtub crack repair for directions on preparing the surface and spraying a colored coating over the repair. You may also choose to use our color-matched repair paste. In cases that the bathtub has a textured surface, the surface can be duplicated using the texture additive materials described in repairing granite spas. However, you may decide that it is acceptable to leave a small smooth area at the repair, if it is not noticeable. I hope this information helps you to resolve your problem. Please call if you have further questions.